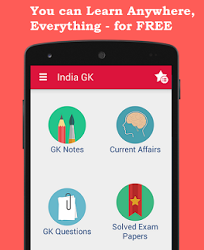 25 August 2016 Current Affairs MCQs, Quiz, Questions: Current Affairs for August 2016, Daily Multiple Choice Questions (MCQs) for India GK, World GK and current affairs with Collection of daily objective type Question by www.Indiagk.net based on General Knowledge (GK) and General Science (GS) Questions for UPSC, State PSC, SSC, Police exam, Railway exam, SBI, Bank PO, IBPC, SSC, LDC, UDC, Army, Airforce, Navy, Coast Guard, Bank Clerk, TET and all entrance examination with current affairs News, Multiple Choice Questions (MCQs) available on Website www.IndiaGK.net and Android Apps with daily updates:. Indian Railways has partnered with which company to showcase its heritage digitally? BEE on 24th August announces which rating methodology for Air conditioners ? Name the former editor of Mathrubhumi magazine who died recently. As per recent Policy change WhatsApp to share user's phone Number with .... ? In which country over 70 people killed in 6.2 magnitude Earthquake on 24th August?